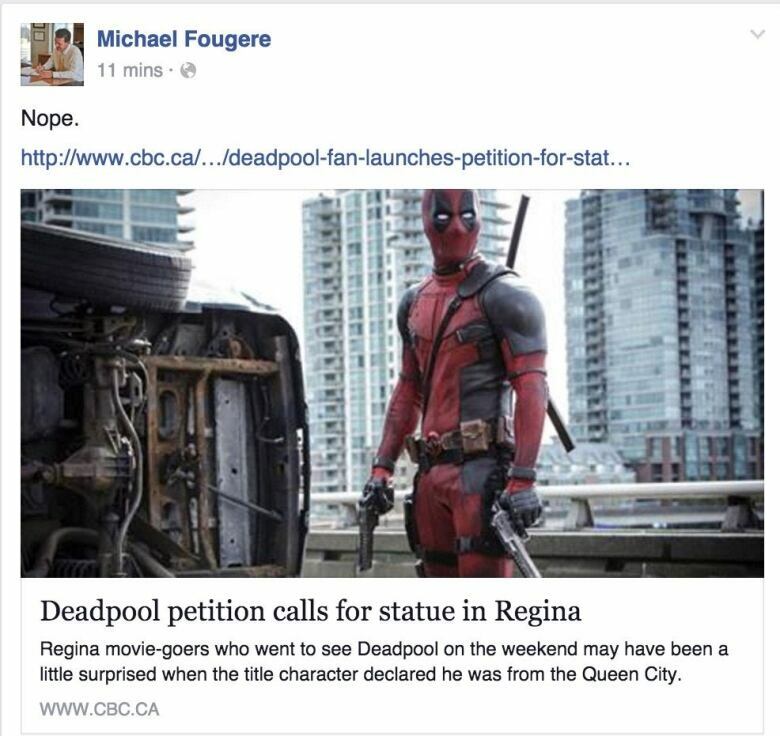 Regina Mayor Michael Fougere had a one-word response to a proposal to erect a statue to Deadpool, the hyper-violent comic book character who claims to come from Saskatchewan's capital city. "Nope", Fougere said in a Facebook post on Wednesday. 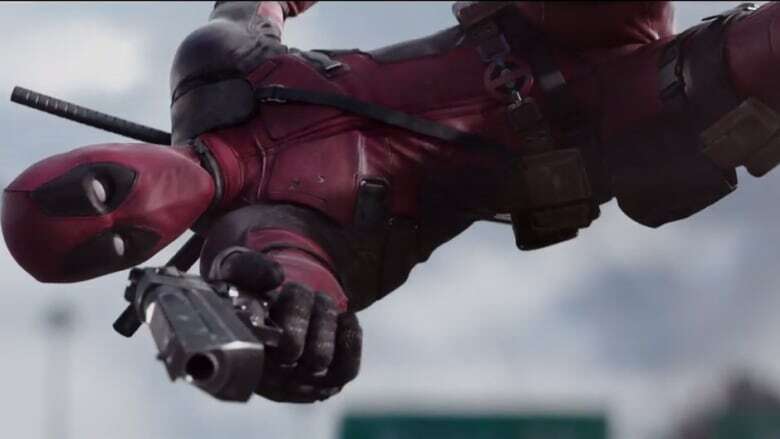 A local Deadpool fan, Luke Oliver, wants city council to approve building a statue to Deadpool. He's launched a couple of online petitions to that effect and one of them, on change.org, was closing in on 2,000 names as of 10:30 a.m. CST Wednesday. In the recently released hit movie, the character claims to be from "Regina, Saskatchewan" and then follows up with an old joke — that it's the city "that rhymes with fun." The line has been getting chuckles in Regina movie theatres and Oliver thinks the city should run with the Deadpool-Regina connection. Despite Fougere's lack of enthusiasm, Oliver didn't sound like he was ready to throw in the towel. "Have some fun, Fougere! The people want this and it HAS to happen now," Oliver said in a post on Fougere's Facebook page. <a href="https://twitter.com/CBCSask">@CBCSask</a> <a href="https://twitter.com/MayorFougere">@MayorFougere</a> why no, especially if not funded with public $? A fun project as tongue in cheek look at joke used all the time.